J.D. Power rates cars, Nielsen rates TV shows, Morningstar rates stocks, and the Data Model Scorecard® rates data models. 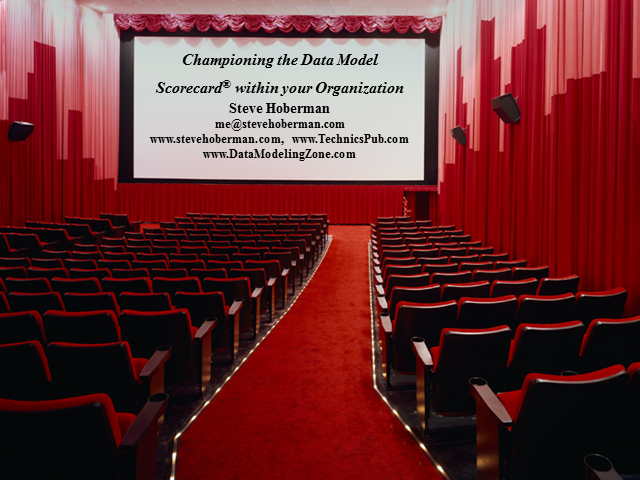 The Data Model Scorecard® is the industry’s benchmark on data model quality. You will receive an overview to the Scorecard and learn how to incorporate it into your organization’s architecture review board.